The First and Second rounds of the South Challenge Cup 2016-17 have been drawn in Edinburgh. Following an earlier agreement, the competition has reverted to an ‘all-in’ draw for the first time since 2008-09 season, replacing the recent format of earlier rounds played in two zones, before combining at the Quarter-Final stage. Two new entrants will be former Scottish League club East Stirlingshire, plus Tweedmouth Rangers, who have joined the East of Scotland League. 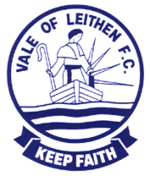 Vale will face South of Scotland side Creetown at home in the First Round, with the winners travelling to Gretna 2008 in the Second Round. Selkirk have been debarred from the competition for a breach of rules. First Round ties are to be played on Saturday 17th September and Second Round ties on Saturday 15th October, but are subject to alteration due to ground clashes or by the mutual agreement of the clubs involved. Vale have been handed a home tie in the First Round of the Football Nation Cup against Heriot-Watt University. The Second Round of the competition – played amongst members of the East of Scotland Football Association – will see the victors face a trip to Lowland League new boys Hawick Royal Albert. Gretna 2008 v East Kilbride. Preston Athletic or Burntisland Shipyard v Leith Athletic.